The outcome of your personal injury case could have a profound impact on your financial stability and overall well-being. For example, if you do not recover enough compensation to pay for medical bills and the loss of future earning capacity, you may wind up in overwhelming debt. This is why it is so important to find the right attorney to handle your case. Just because a lawyer accepts personal injury cases does not necessarily mean that he or she has the time, knowledge, or experience to handle your case. Although you can find plenty of helpful information online, such as reviews from past clients, you should never commit to an attorney until you have met him or her in person. Matt Troutman is an accident attorney in Lexington with a reputation for tough litigation and a strategy for winning substantial settlements and verdicts for his clients. He will answer your questions and explain exactly what he will do to help you recover the maximum compensation. Call to schedule a free initial consultation at the Troutman Law Office. Most personal injury attorneys charge a contingency fee for their services. 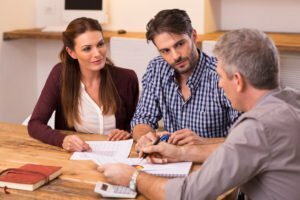 As outlined by the American Bar Association, clients only have to pay contingency fees if they make a financial recovery. Contingency fees are typically a fixed percentage of the recovered funds, but the client may still have to cover filing fees and other legal costs during the proceedings. Talk to your attorney about the fee structure during the initial consultation to ensure there are no surprises. 2. Will You Remain Accessible during My Proceedings? 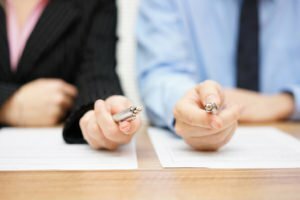 Some attorneys meet with their clients only once—during the initial consultation—and then pass the case off to less experienced lawyers or even paralegals at the firm. Make sure the attorney you meet with during the consultation will actually be the one handling your case and that he or she will be accessible. 3. Why Should I Hire You over All the Other Personal Injury Attorneys? What can the prospective attorney offer that other lawyers cannot? Your attorney should be able to explain why he or she would provide superior legal representation compared to other lawyers. 4. How Much Participation Do You Require from Me? Although your attorney will need your help to file the claim, he or she should be able to handle all of the legal legwork so you can focus on recovering from your injuries. Make sure you have a clear idea of what your responsibilities will be as the case proceeds. Matt Troutman is an accident attorney in Lexington who prides himself on providing personalized representation to each of his clients. Call to schedule a free initial consultation. You can learn more about car accident claims in Kentucky by visiting USAttorneys.com.